Visual Studio Code>Programming Languages>QlikNew to Visual Studio Code? Get it now. 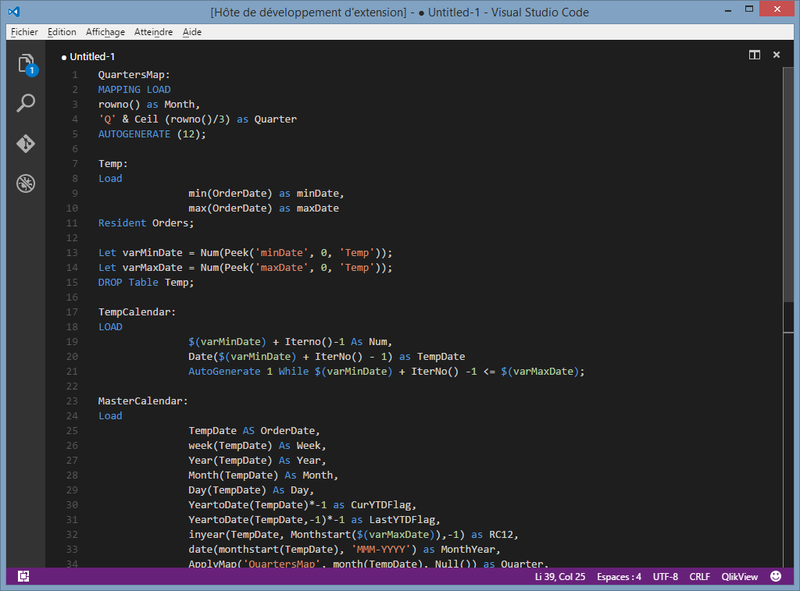 This extension adds support for Qlik scripting to VS Code. Thanks a lot to this project's awesome contributors for their help!